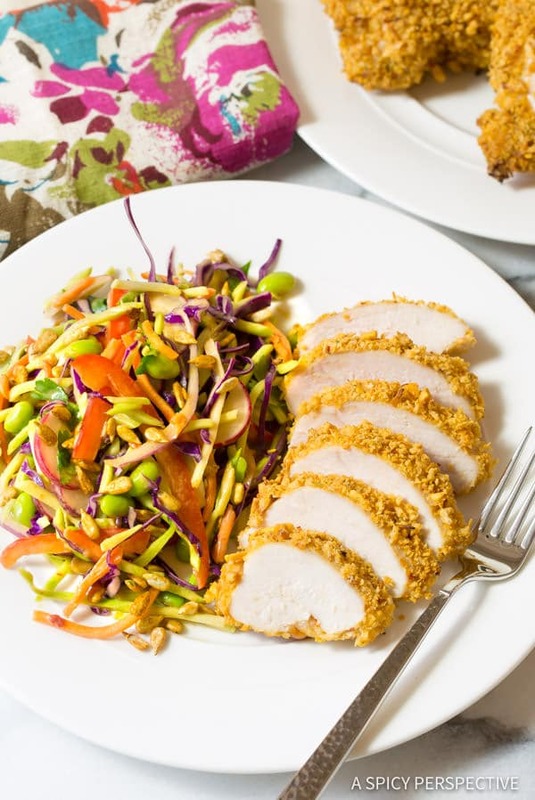 Colorful Crunchy Asian Slaw with Peanut Dressing, a fabulous side dish for chicken and fish! Quick mid-week dinners don’t have to be boring. They also don’t have to be the same ol’ repeats you been making for years. 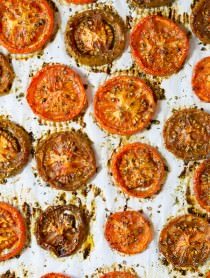 Switching up simple healthy side dishes, then giving your protein a little tweak, can make all the difference. It’s my belief that vegetables are more fun to eat when they look like party confetti. Even my kids are intrigued by a bowl of raw veggies that look like this! 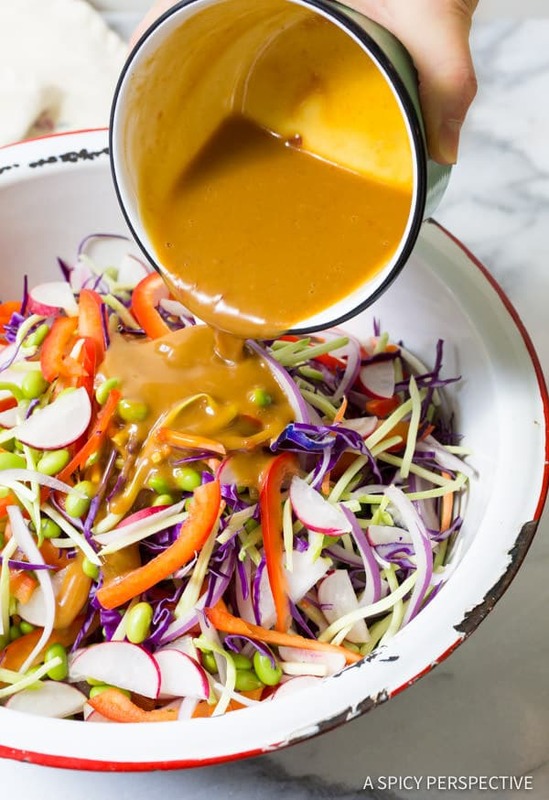 I’ve got a fabulous Crunchy Asian Slaw Recipe for you today with a savory sweet Peanut Dressing, reminiscent of Thai peanut sauce. 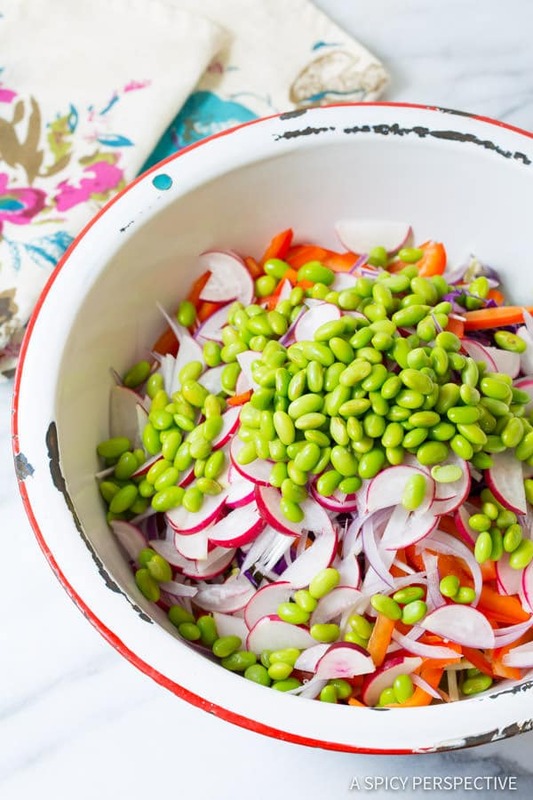 The base of the salad is a hearty mix of broccoli slaw, red cabbage, bell pepper, radishes, edamame and red onion. Silky Peanut dressing is tossed with the veggies to coat and season them thoroughly. 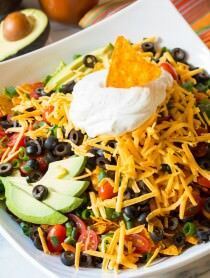 Fresh cilantro and sunflower seeds are sprinkled over the top for extra freshness and crunch! 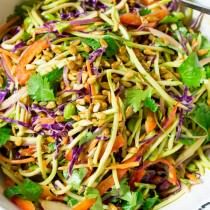 Crunchy Asian Slaw Recipe with Peanut Dressing is a fabulous side dish to pair with chicken or fish. 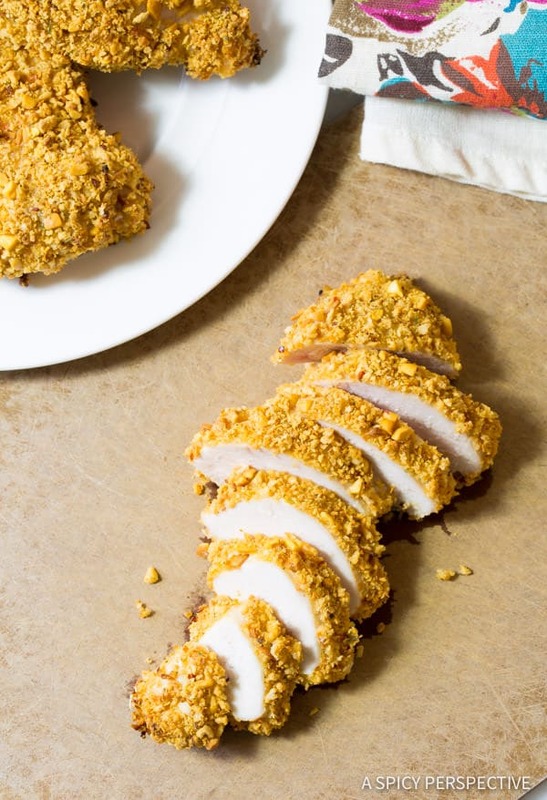 I especially like it with The Good Table’s Crunchy Thai Peanut chicken coating. The Good Table is a new quick-dinner helper that seasons your plain-jane chicken, or fish, with a crispy and zesty crust. 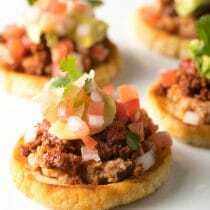 You simply dip your protein in the coating sauce, toss it with the crispy crust mix, and bake. 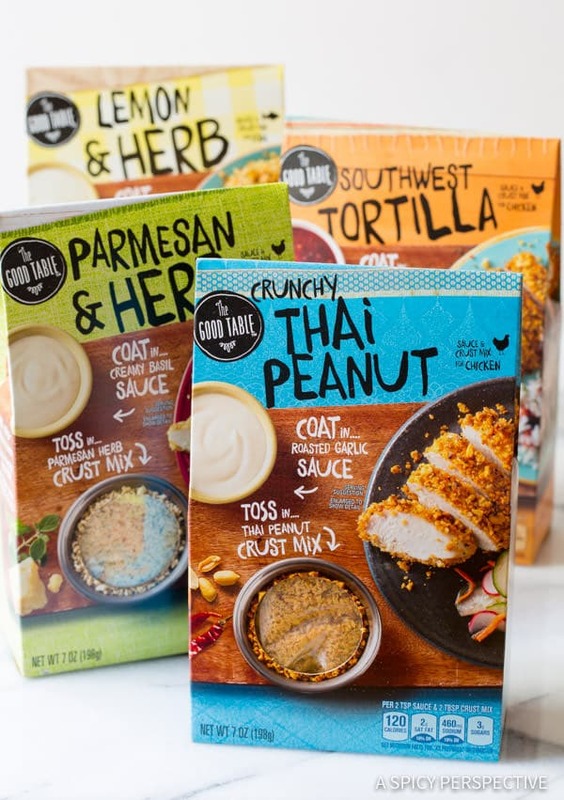 The Good Table kits are perfect for fast mid-week meals. 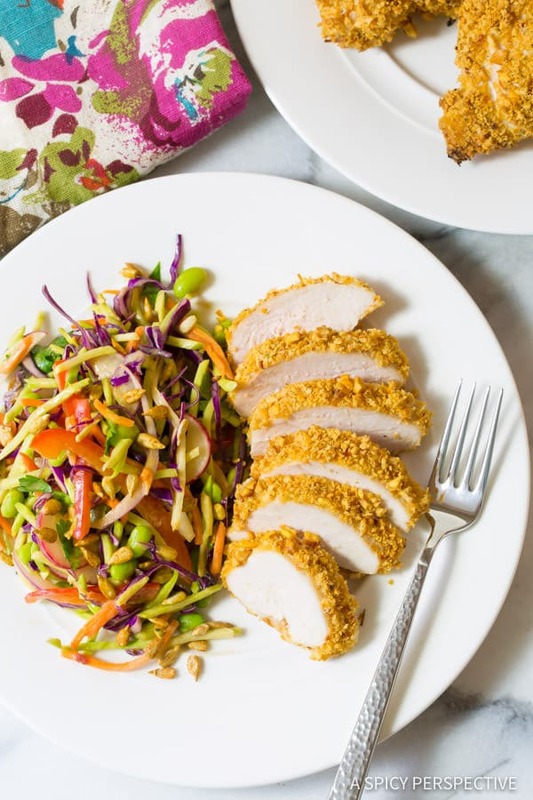 Just pop your chicken or fish in the oven and make a quick side dish like today’s Crunchy Asian Slaw Recipe with Peanut Dressing. 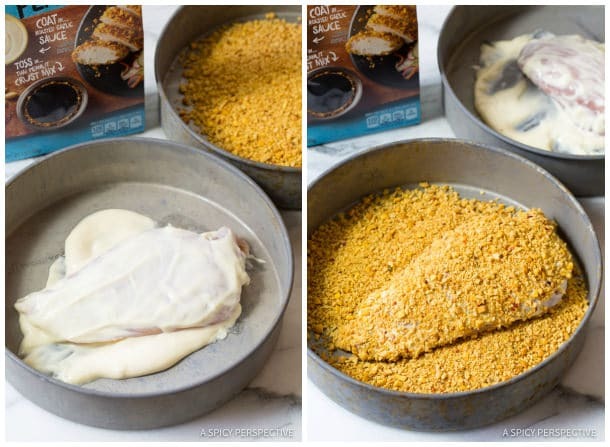 We’ve tried the chicken varieties and the lemon and herb blend for fish, and have been extremely impressed! 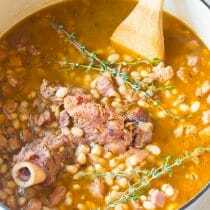 The blends are made of simple ingredients you can feel good about serving your family, yet they bring a touch of comfort and richness to the table. Look for The Good Table kits in your local grocery store. Click here for the product locator. You can also find The Good Table on Pinterest! 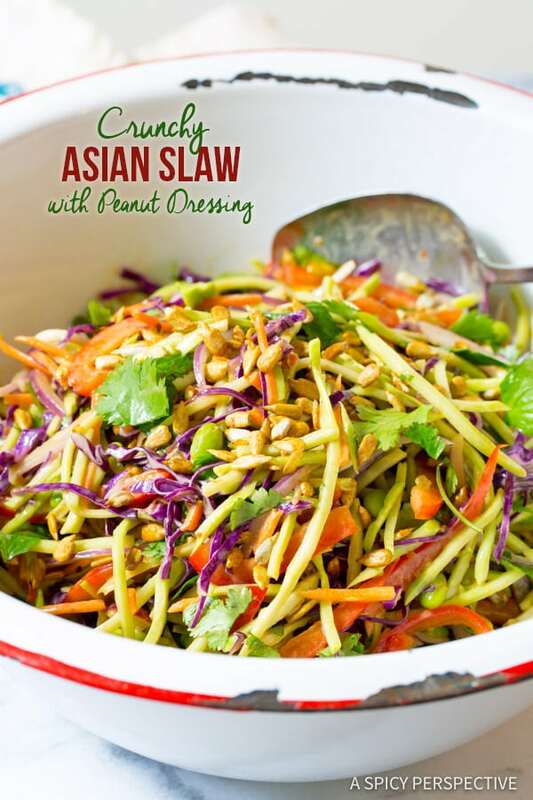 Crunchy Asian Slaw Recipe with Peanut Dressing. 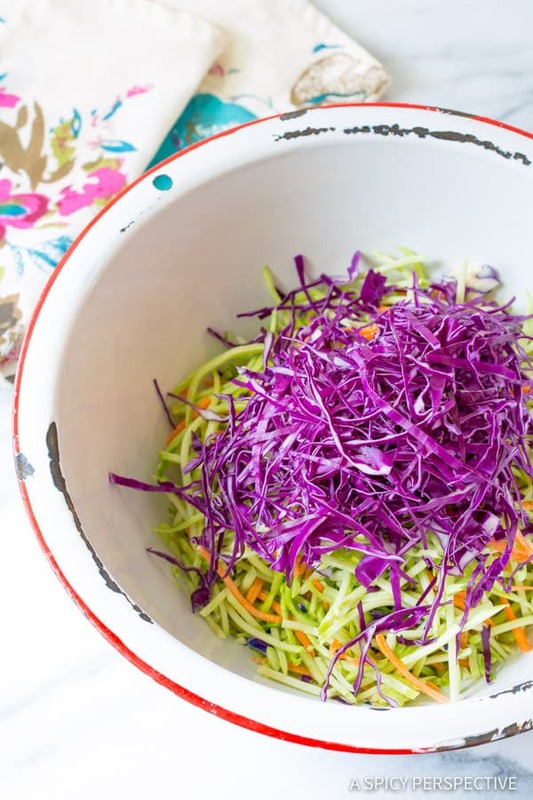 A dazzling slaw salad full of color and texture, with a peanut sauce style vinaigrette for a savory sweet finish. 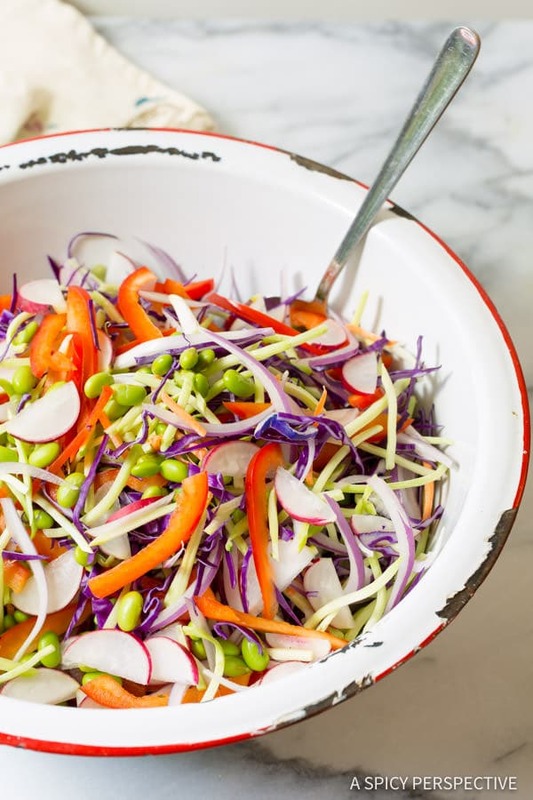 Pile broccoli slaw, red cabbage, bell pepper, radishes, edamame and red onion in a large bowl. In a smaller bowl, whisk all the peanut dressing ingredients together until completely smooth. 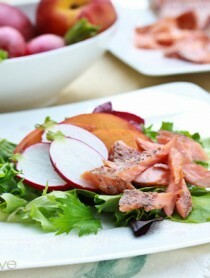 Pour the dressing over the top of the salad and toss well to coat. 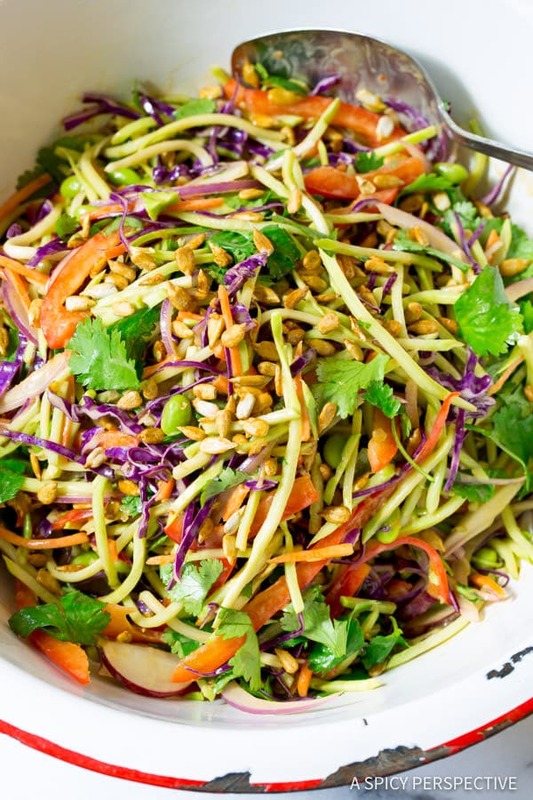 Sprinkle the chopped cilantro and sunflower seeds over the top of the slaw. 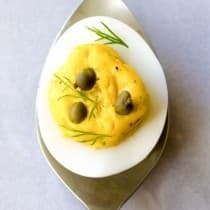 Serve immediately, or cover with plastic and refrigerate until ready to serve. Can be made up to 2 days ahead. Disclosure: This post is sponsored by The Good Table. All opinions are my own. This is an amazing twist to a classic dish, love the asian take on it. Obsessing over all the colors in this! 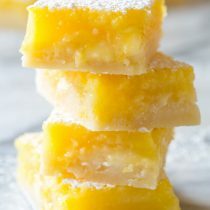 It looks absolutely delicious! Love all of the fresh vibrant colours! this look so good! just the kind of thing I would want!